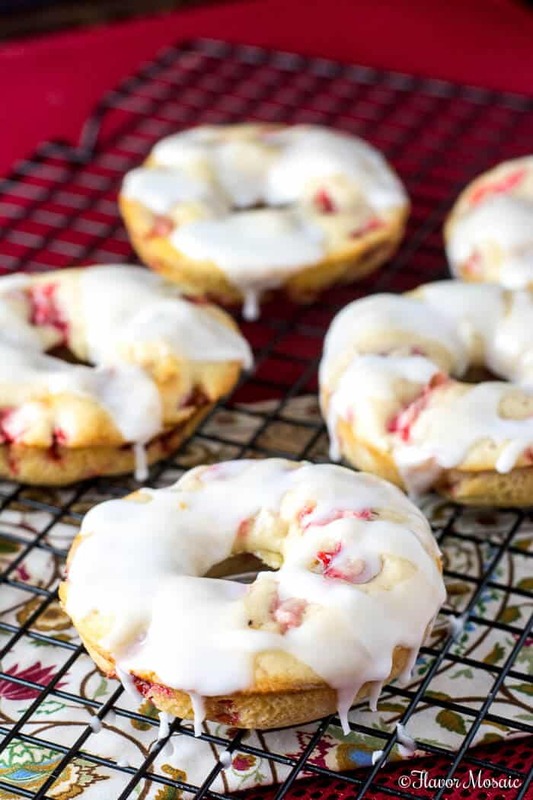 These Baked Glazed Strawberry Donuts, with their sweet, melt-in-your-mouth deliciousness, are baked and not fried, and are perfect for breakfast or dessert. 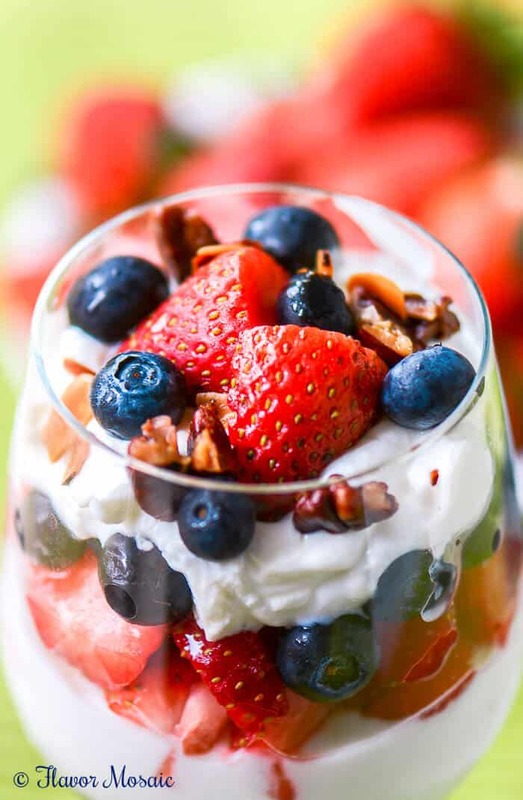 Another strawberry recipe? Yes! If you follow my blog, you know I am crazy about strawberries and have been busy baking with these fresh, juicy strawberries. 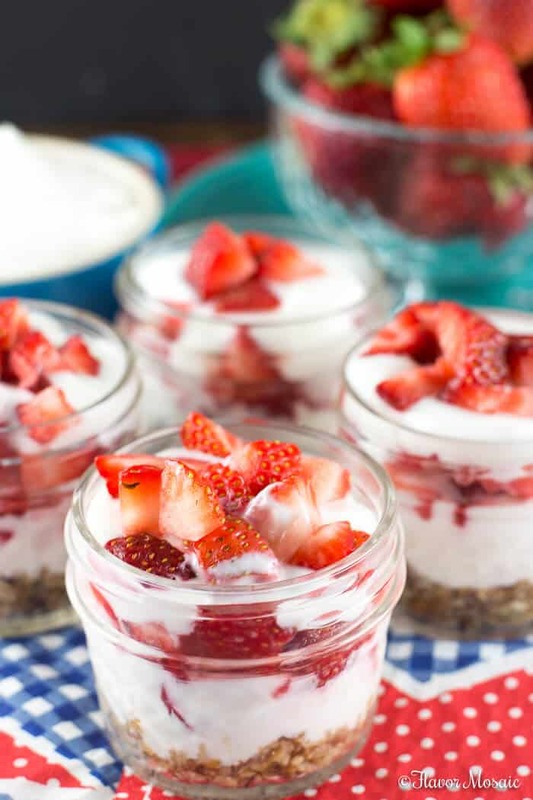 Did you see my Strawberry Pretzel Dessert Mini Parfaits or my Strawberry Banana Smoothie or this Berry Basil Lemonade, or my blog’s most popular post, Strawberry Crumb Bars. 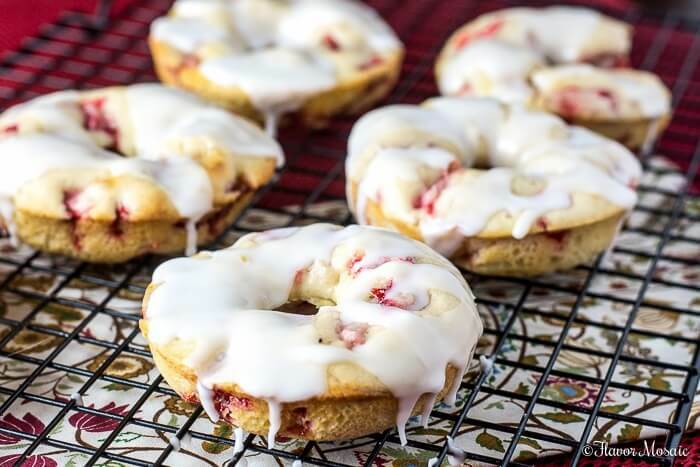 I have extended my strawberry baking to breakfast by making these Baked Glazed Strawberry Donuts! They are sweet, and melt in your mouth. Who doesn’t love the sweet baked goodness of fried donuts from the local donut shop in the morning? I love the taste but not the extra fat and oil from frying. I knew I wanted to make these donuts at home, but I did not want to deal with the mess from frying. So I decided to make these Baked Glazed Strawberry Donuts using a donut baking pan like this one. 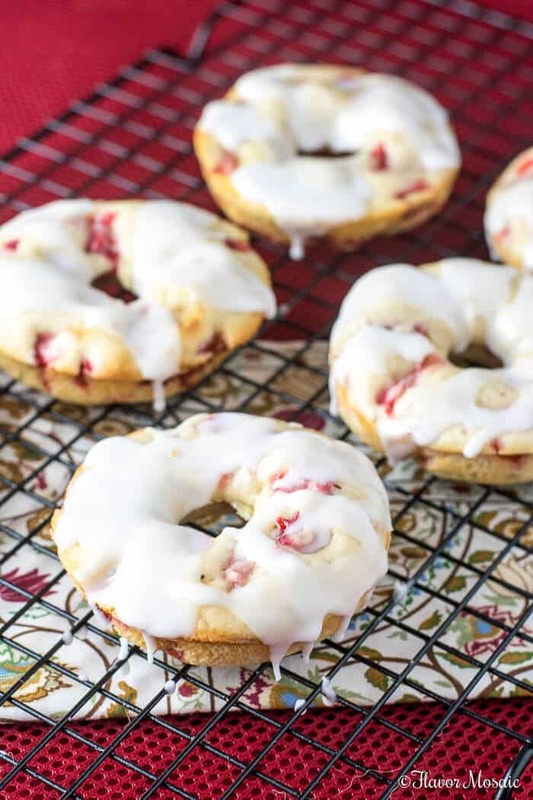 As for the taste, I had my toughest critic, my Mother-in-Law, try these Baked Glazed Strawberry Donuts. Before she tries them she tells me she is not crazy about the taste of Strawberries. They are ok, but not her favorite fruit. However, I wish you could have seen her eyes light up as she took a bite of these sweet Strawberry donuts, and hear the mmmmm that came from her as she was enjoying these donuts. However, you don’t have to take my word for it. 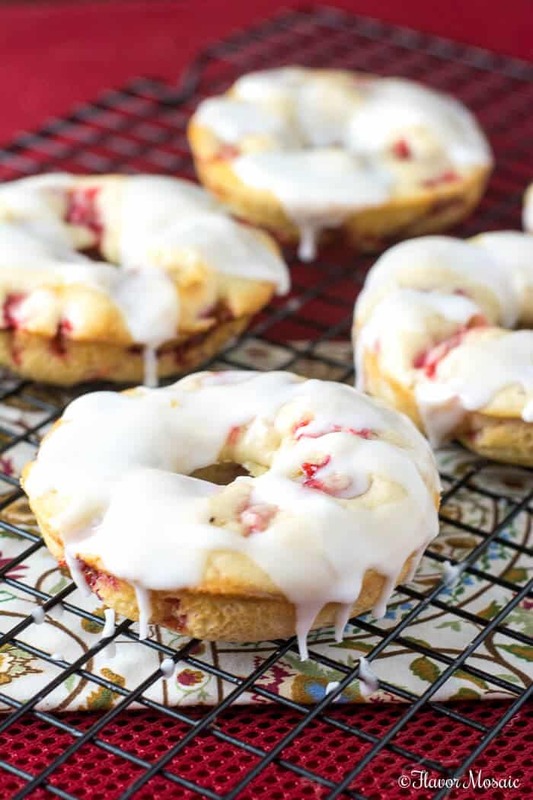 You can make these sweet Baked Glazed Strawberry Donuts at home yourself. It is easy. 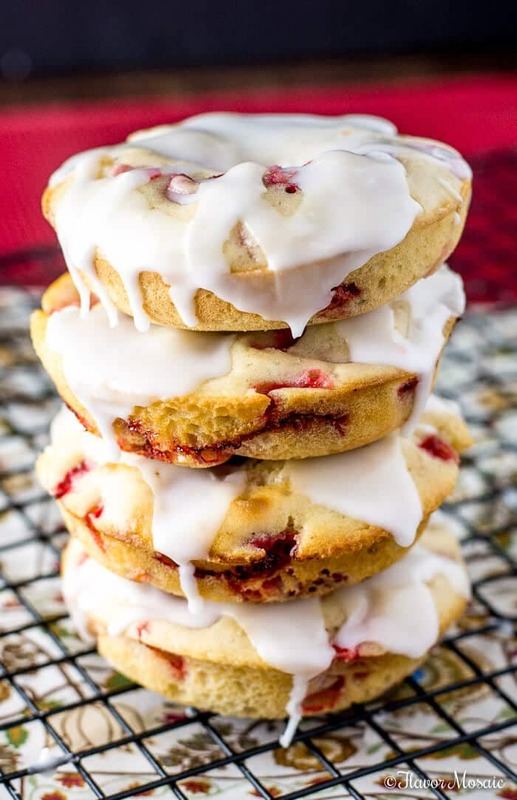 With a little flour, baking soda, salt, and sugar (or your favorite sugar substitute), you can easily make a batch of these donuts from scratch using fresh strawberries and a donut baking pan. 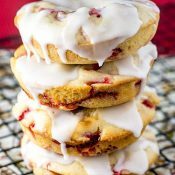 With a few simple ingredients and a donut baking pan, you too can make these Baked Glazed Strawberry Donuts for yourself at home and impress your family with warm, soft, sweet donuts for breakfast. Preheat the oven to 400 degrees. Spray a donut baking pan with cooking spray. 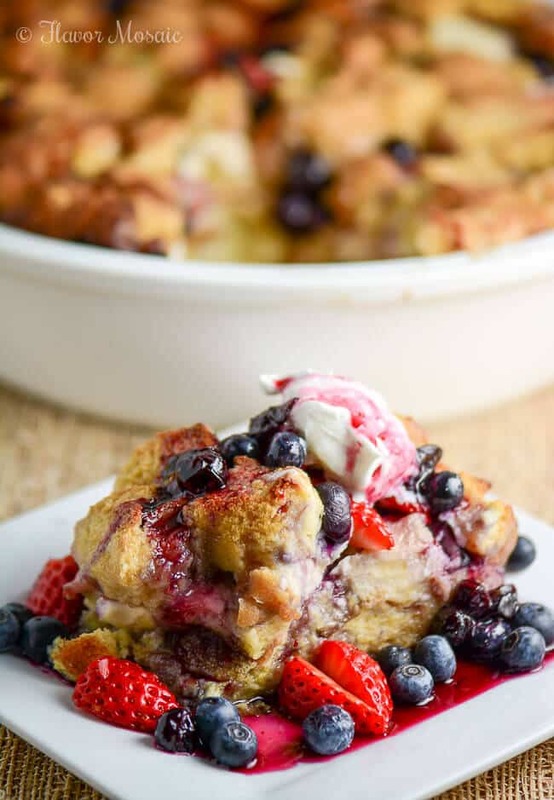 In a large bowl, stir together the flour, sugar (or sugar substitute), baking powder, and salt. In a large measuring cup, pour in vegetable oil, milk, vanilla, and eggs, and stir together. Pour the wet ingredients in the measuring cup into the dry ingredients in the large bowl. Stir together until everything is smooth and there are no lumps. Stir in chopped strawberries until evenly distributed. Spoon the batter into each donut tin of the donut baking pan until about 2/3 full. You will either need two donut baking pans or will need to bake in batches. Bake the donuts in a preheated oven at 400 degrees for approximately 10 - 12 minutes. Turn the pan over to remove the donuts onto a cooling rack. Let cool for about 10 minutes. Meanwhile, in a small bowl, make the glaze by stirring together the powdered sugar and milk. Spoon the glaze over the donuts and serve. 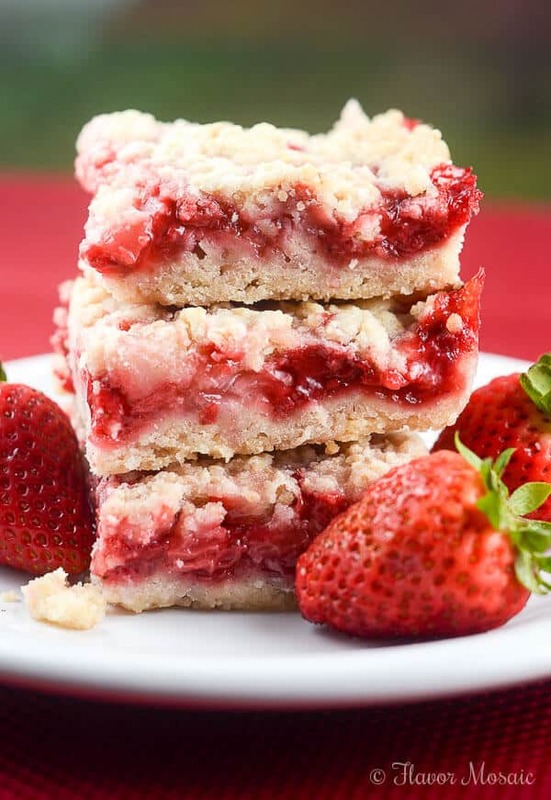 If you like this recipe, be sure to check out these other strawberry recipes! I assume strawberries go in with wet ingredients, right? Hi Carol, thanks for your comment. I updated the recipe to add the step to add the strawberries after you combine the wet ingredients with the dry ingredients.